The Flite Test Mighty Mini Corsair is a plane you have to get your hands on. The plane is one you have to see for yourself to believe and we couldn't be happier with it! 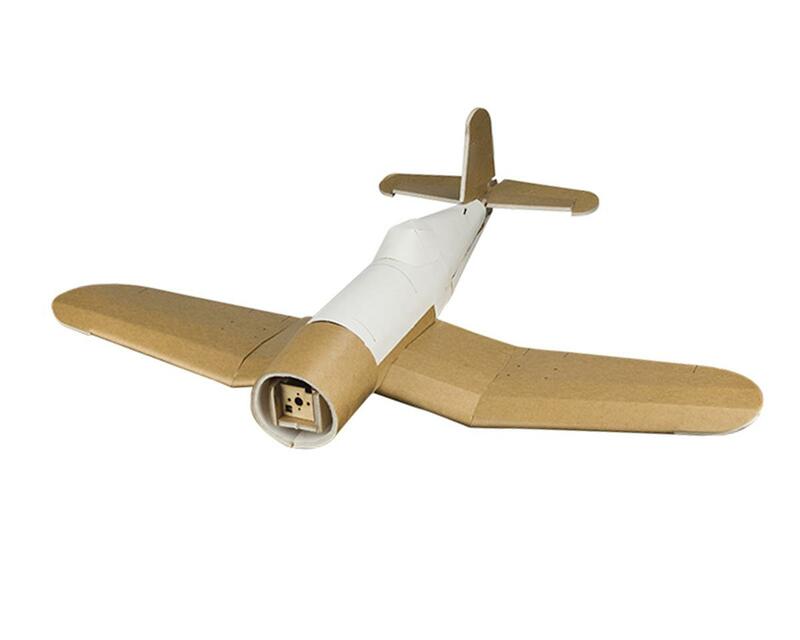 This little Warbird park flyer is the perfect size to always keep with you in the back seat of your car and is small enough to fly at most medium sized parks. Though this little Corsair doesn't have the 2,000 HP Pratt & Whitney R-2800 radial engine that the original full-scale warbird had, it does use a 2204 sized brushless motor that is commonly found on mini race quads. This gives this little 4 channel plane enough power to climb vertically endlessly and pull off most basic aerobatic maneuvers with ease. Power Pack A - Great lower power option for easier control. Power Pack F - Improved output power for faster speeds and advanced flyers. Cool looks in the air, pretty fast and stable. Fast build too, took me some two hours altogether. BUT... really hard to balance. You'll have to add a ton of lead in the cowl. I had to add 1.5 ounces to balance it right. Expect tip stalling at low speeds. Takes off like a rocket and lands like one. Still, so far so good, it takes the beating well. I added 3" pieces of BBQ skewers in the wing tips. Otherwise wingtips get bent quickly and screw up the ailerons. Good plane but hard to build. Would not advise as a first build. Instructions were hard to understand and Peter was using a different power pack. But flying is fun and the plane speed build kit is cheap.